The PG Certificate Gerontology (Distance Learning) is designed to provide multidisciplinary advanced education in gerontology through distance learning to busy mid-career professionals, new entrants to university and the social sciences, or returners to education who wish to pursue the subject area. The PG Certificate in Gerontology (Distance Learning) is a programme delivered completely online, offering you the opportunity to complete three modules in the area of ageing. The programme includes an introduction to the discipline of Gerontology and offers you options to specialise in topics such as health and wellbeing, poverty and social protection, and mental health. It allows you to consider a range of careers in the areas of health and social care, policy-making and research. Having successfully completed this programme, you are welcome to progress your studies to the MSc Gerontology (DL) programme. Full-time students take three compulsory modules in one year, two in the first semester and one in the second semester. Part-time students can take one module in year one and two modules in year two, or vice versa. We welcome applications from students holding, or expecting to hold, a British bachelors (honours) upper second-class degree or higher, or equivalent. Students on the full-time programme take the compulsory module GERO6010 and two more optional modules over the course of the year. Students on the part-time programme take the compulsory module GERO6010 in year one, and two more optional modules over the course of the two study years. Equipment Software and Licenses- Licenses relating to software used in the programme (eg. SPSS, NVivo) are purchased by the University, and students can download them from the iSolutions website using their username and password. Conference expenses Where students wish to attend a scientific conference during their studies, they are liable for any accommodation and travel cost associated (as well as any conference registration fees). Students are expected to prepare oral presentations and to lead discussions, thereby developing their skills in written and oral presentation. Distance learning students develop these skills through a variety of interactive online resources and software programmes. A variety of assessment methods are employed, which include essays, oral presentations, group work, exercises, research reports and the dissertation. All programme modules have their own page on Blackboard. An enhanced version of Blackboard is central to their learning experience, providing comprehensive support and guidance on how to use online resources that are key to the programme. All coursework is submitted through Blackboard. 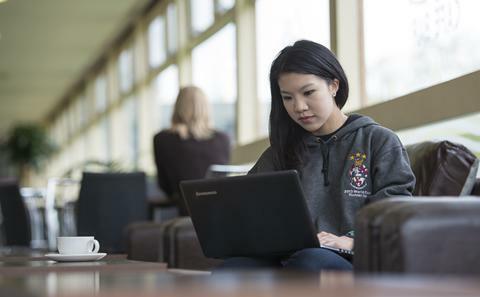 Distance learning students will be given their own university email account and access to a range of software packages and computing support via iSolutions. All students (on all programmes) are provided with a personal tutor who can advise on academic and other university issues, and a dissertation tutor who provides advice and support during independent research. Distance learning students will be able to access specially prepared materials covering these areas on Blackboard.